Luxor Homes, Inc. is Northwest Indiana's #1 Value Driven Custom Homes Builder. This means we will exceed your expectations with high quality products, attention to detail, patience to understand your goals and needs, and the integrity to deliver on time, within budget, and per our agreement... all at non-custom prices! At Luxor Homes, we realize every household's history, current situation and needs are unique. That's why the Luxor Homes Family takes a uniquely active role in guiding you through your many housing options and offers a Customized group of services and products. Below are some key considerations to help you move forward. subcontractors, and key vendors have been with our company for many years and all share the belief that we are only as successful as our clients say we are. At Luxor Homes, you will find yourself as the focal point of our efforts from the first time we meet and during the length of our relationship. We pay close attention to our client's opinions and feedback and welcome your thoughts. 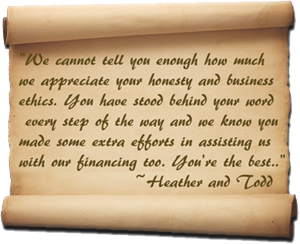 Visit Testimonials to see what our clients say about us. To best service our clients, we are centrally headquartered in Merrillville 1/4 mile from the intersection of I65 & US30. We build in Eastern Schererville, Merrillville, Hobart, Lake Station, Portage, Chesterton, Valparaiso, Crown Point, Lake and Porter Counties. We have quality subdivisions in these areas or will help you find a lot of your liking in another location. Luxor Homes, Inc. provides one of the most Extensive Warranties in the region with Two Year coverage for material or labor defects, Four Year coverage on roofing labor, Ten Year coverage on the structure of your home. We will additionally support your extended warranty provided by all product manufacturers. Visit Customer Care for full details. We are an A-rated Better Business Bureau member, a member of the National Association of Home Builders, and we support Equal Housing Opportunity and give back to the communities where we build. We are environmentally minded and are an active participant in the Energy Star rating system to conserve your energy bills and our society's resources. We are Licensed, Bonded and Insured in all communities where we provide services. Visit our Company Bio for more information.